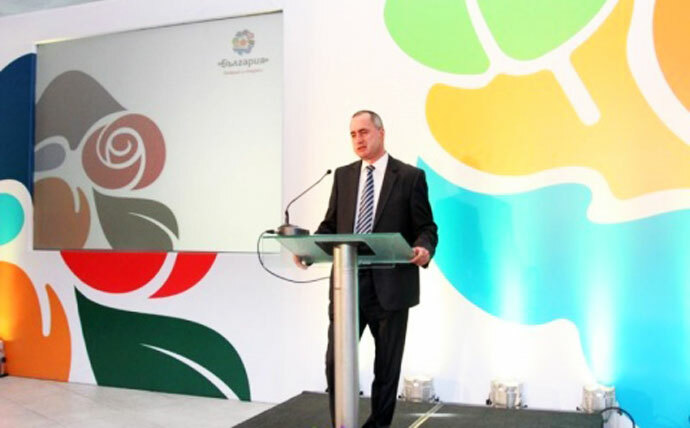 Recently the Bulgarian Deputy Minister of Economy, Energy, and Tourism presented tourism brand for Bulgaria to the world. For some countries, there are decades of well established reputation which they are able to leverage to build a globally influential place brand – Italy, France, Brazil, and Japan spring to mind immediately. For some of the lesser know corners of the world, creating a tourism place brand is a tougher task – a task that requires a context of understanding to be built before the layers of personality and spirit are added. At truly Deeply one of our favorite topics for presentation and writing is nation branding. Last year we traveled to Finland to meet with a bunch of people from Ministers to writers who had worked on their very well conceived Brand Finland. Any country that genuinely sets-out to establish a brand in the global market should be applauded for being serious about leveraging the opportunities to business, government and tourism of having a nation brand. The task of creating a brand for a country is never easy and as you can imagine; almost always highly political. The Ministry of Economy, Energy, and Tourism press release states; ‘the new brand was developed on the basis of an in-depth analysis of the current perceptions of Bulgaria as a tourist destination and a comparison with a range of rival destinations’. I have no doubt they have successfully identified what Bulgaria has to offer as a tourism destination – but strongly suggest their analysis of the most powerful brand proposition missed-out on the critical element of differentiation. The identity includes ten sub-brands to reflect the different types of tourism on offer to visitors. This is where it begins to really go off the rails as the brand unashamedly makes a play for being all thing to all people. My favorite adage of branding is that brands who try to be a little of everything to everyone, end-up meaning nothing to anyone. 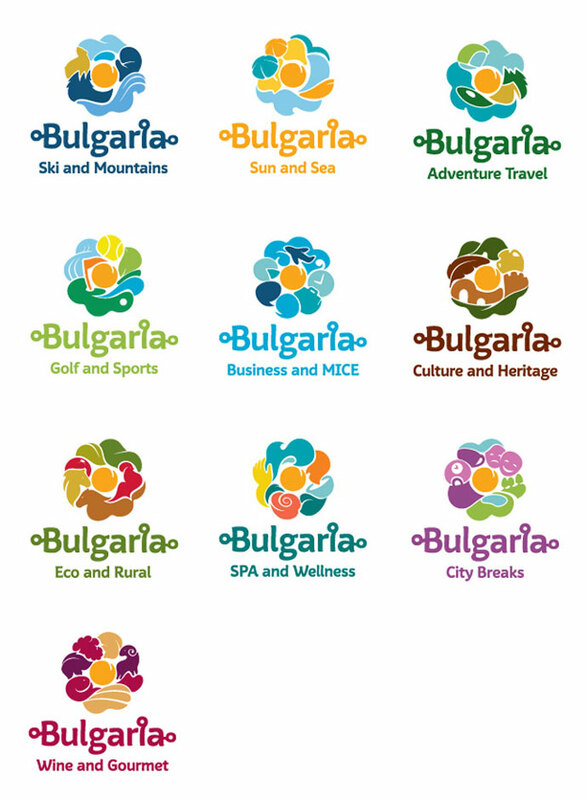 And as the Bulgarian Tourism brand moves into application – that’s exactly what has happened. The sub brand identities below become a bland grab for every possible reason anyone might wish to holiday anywhere, and in so-doing move this brand away for having any authentic or rich meaning. Bulgaria’s Ministry of Economy, Energy and Tourism expects a 25% increase in tourists in the first five years of the implementation of the strategy. 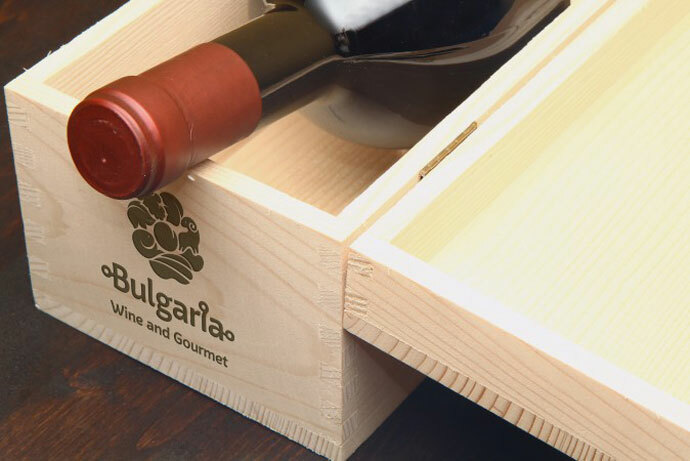 In the Minister of Economy, Energy and Tourism; Ivo Marinov’s words, “the new brand, designed to make Bulgaria’s tourism product more recognizable and competitive, is to double the number of tourists visiting the country over the course of 10-15 years“. Whilst I am all for setting measurable KPIs for brand and marketing initiatives, I’m afraid Mr Marinov’s confidence in this place brand strategy and identity might fall short of the impact he and his beautiful country is looking for. To receive free monthly updates of our our most popular brand posts – click here. I left the below comment at Brand New, which also reviewed Bulgaria’s new logo. I think our thoughts are aligned. “Branding a destination is arguably the toughest brand assignment. Experts such as Simon Anholt thinks that you can’t “brand” a place in the traditional sense of the word. As someone who got involved in some place branding projects, I tend to agree. When a destination misses an overarching idea, outsiders like ourselves tend to zero in to the logo. A yummy logo won’t help a destination. What needs to be done is to change everybody’s (foreigners as well as inhabitants) perceptions over time. That’s a tall order, especially when such strong stereotypes exist. When it comes to the overarching idea, a common mistake committed by destinations is to think that the place “has it all.” Bulgaria’s destination brand is a clear example of such thinking. It seems like they tried to please all of their internal stakeholders, a deadly mistake that leaves you with a common denominator. 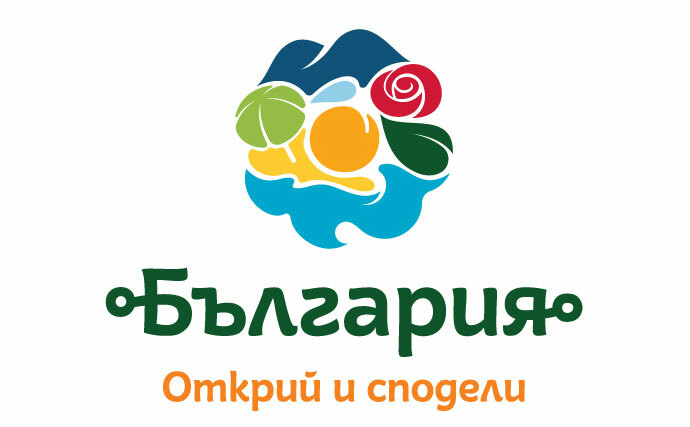 One thing that I truly appreciate here is that Bulgaria separated the place brand (overarching brand) from the destination brand (tourism brand). Very few places do that. The problem is that, those two create no synergy. A more appropriate thing to do would be this: Since they managed to create a separate tourism brand, they should have asked themselves, who visits us? Is it Romanians? Turks? Russians? West Europeans? Who do we really want? After having prioritized their preferred tourists, then they should have focused on the decision making criteria of those people, and proceed with their design. Thanks Gunter for providing such rich insights from your own experience. We’re on the same page – it all zeros-back to having the stakeholders agree on a single, compelling cornerstone of the place proposition. Not always an easy task. Great article David, enjoyed reading it. Also spot on comment from you Gunter. Audience demographics and psychographics are very important. Thanks Hana, have a great week too. Having been involved in trying to promote and expand the awareness of one region of Bulgaria, Rhodopi / Pamporovo, and dealt with the local Tourism board, I fear this seemingly confusing catch-all approach is simply going to compound their market identification challenge. Hi Ian, great to have your thoughts and insights. I share your fear and as so often mourn the missed opportunity to get this right and the lost return on the investment they’ve already made and will be making into the future. Hi David, good point on the money front as they are not awash with funds to misdirect on ill-thought campaigns. We will watch that space to see how it unfolds. I am due back later this Spring and intend to meet with the people on the ground responsible for the promotion of the Rhodopi Pamporovo resort. Hi Gunter, You make some wise comments, I wanted to follow up on one – who are they trying to entice? Having spoken at length to both local people, traders, Tourism professionals, Hoteliers, Restaurateurs and bar owners, they are obvisouly open to anyone who has money to spend but do not naturally look in our direction (westwards and beyond to the UK) but rather toward their Eastern region neighbours. They would look to Greece but have their doubts right now as to how profitable that might be. And yet, for the UK visitor in particular, Bulgaria has a lot to offer the Englishman abroad, not least the impressive value for money due to their cost of living and exchange rate. A fact I have tried to impress upon them and one they should exploit while that particular sun shines. I accept you could not readily mount a sustainable brand marketing campaign around – come fill your boots as this bonanza will soon end! In common with almost any other place on the planet the country and its people are quite diverse, being “newly” released from Communism some 20+ years ago which freedom in itself has created enormous opportunities, with similar sized opposing challenges, you feel it may need a generational change in mindsets and attitudes before they really come to grips with the whole business of “brand identification”, one that encompasses the Nation and where it is at. Either way it is a great place to explore. Thanks for your kind words. I am not even remotely involved in promoting Bulgaria, so I don’t know access to their plans, or thoughts. That said, given its huge population and proximity of wealthy Istanbul, common sense tells me that the most obvious target should be Turkey. Turks and Bulgars have a long shared history/culture. Not to mention, Bulgaria already attracts tons of Turks for winter tourism. i like to travel one day and go places.i like these video.